You just found the BEST Sunset Cruise in Miami. Imagine feeling the ocean breeze, as you sail across the bay. Now, make it a reality. Go boating with us today! Book yourself online or call (305) 260-6855. Book early because it often sells-out in the afternoon. 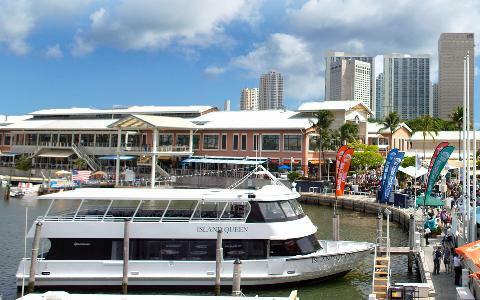 Bayside Marketplace, located at 401 Biscayne Blvd. Enter the parking garage next to Bubba Gump Restaurant. Most locals will tell you - to really see Miami, you must get out on the water. And there is no better way to experience it than on a Sunset Cruise with us. The mode of transportation is a bi-level yacht, with an air-conditioned lower level, shaded top deck, and full bar. The cruise is narrated by a local guide with fun facts about the celebrity homes. 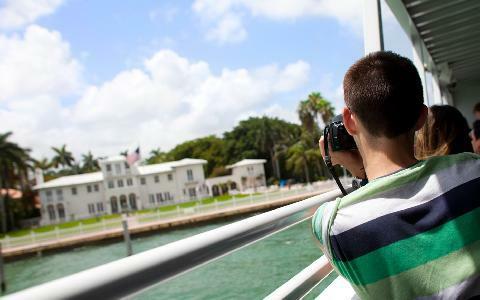 But it's the amazing views from the bay that truly do the talking, with spectacular shots of Miami Beach, Star Island, mansions, yachts, cruise ships & downtown skyline. Come take a cruise and see Miami from the bay. The cruise brings out the ❤ side in people. Making a reservation is easy. Just book it yourself online and arrive 1 hour before. Tickets are not refundable, but if you're late, you can redeem the ticket on the next available cruise. We will reserve a cruise time for you, but you must purchase tickets by phone. 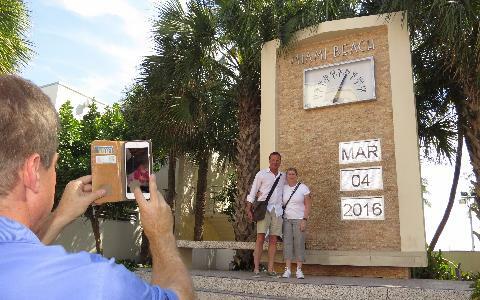 Call the tour office at (305) 260-6855. You will immediately receive an email with your tickets and directions. Click "Check Availability" and save your place! Where does the cruise depart? If I'm staying near Miami Airport, how do I take the cruise? Is there food for sale? See the best spots in Miami by land and water. If you book now, you'll also receive a FREE beer, wine or soda on the cruise! When you do them back-to-back, it's like getting an extra vacation day.